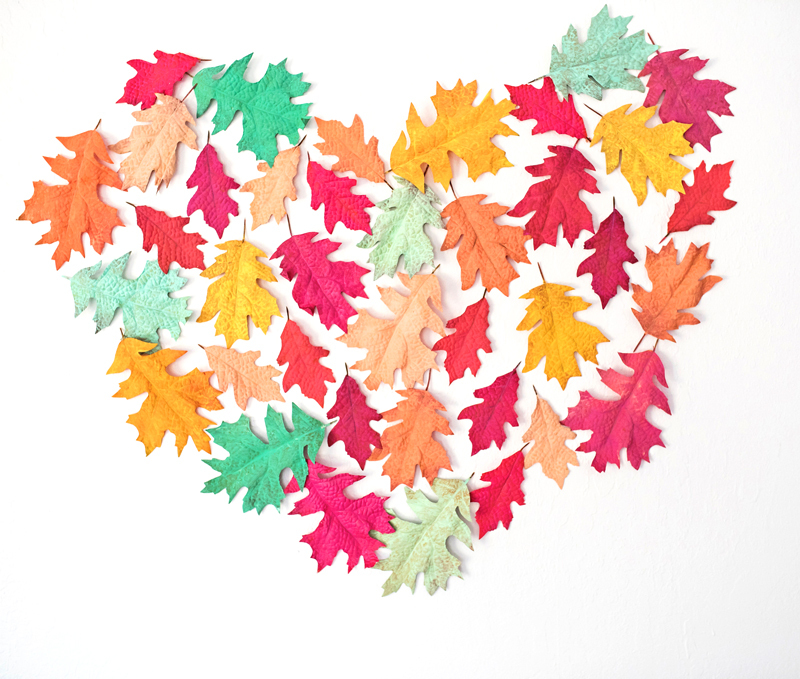 I am still in a bit of disbelief that this is the last week of August!!! 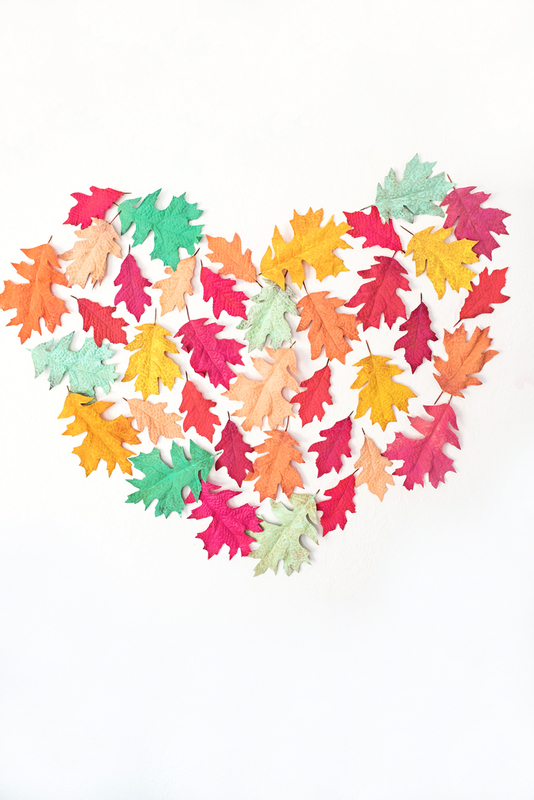 Although this summer was a favorite, I am quickly looking forward to the wonderful fun that fall brings. 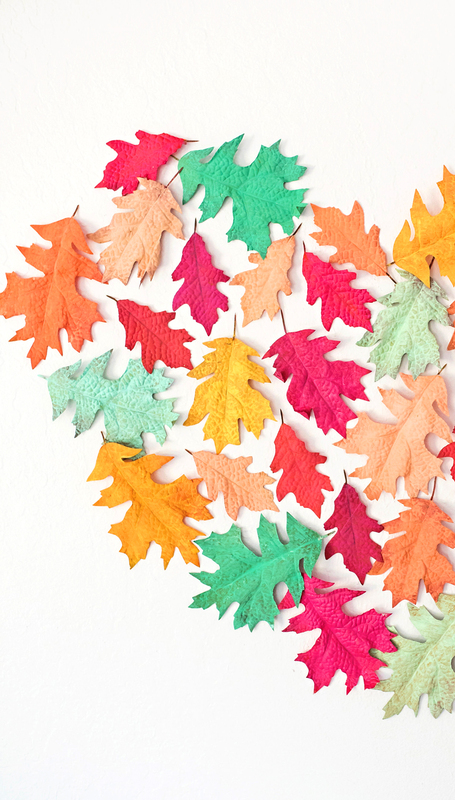 To colorfully kick off the new season this week we hung up a batch of brightly painted leaves in the house. 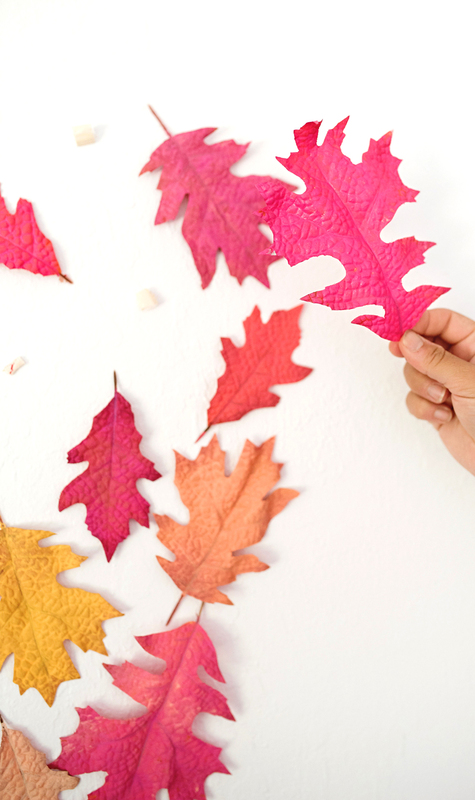 It’s the first little sign that things are starting to change. The display is making our house instantly feel more cozy. 1. 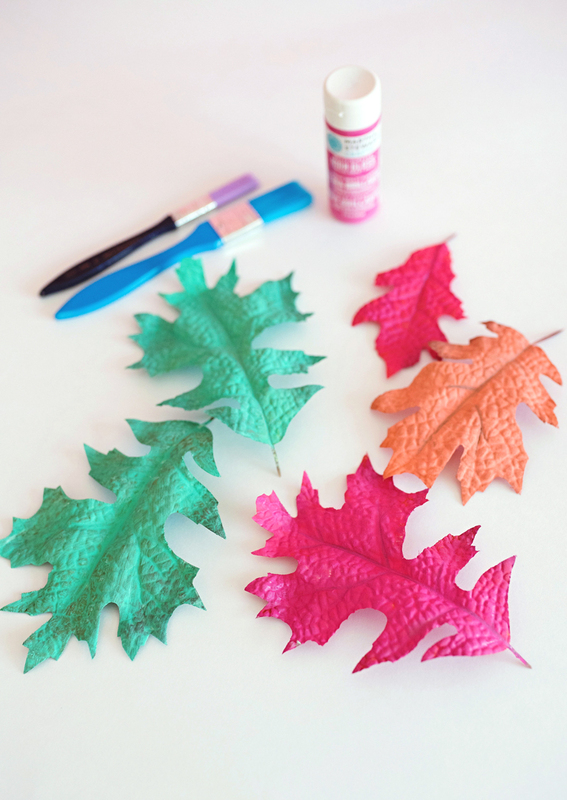 Paint the leaves front and back and allow each one to dry fully. 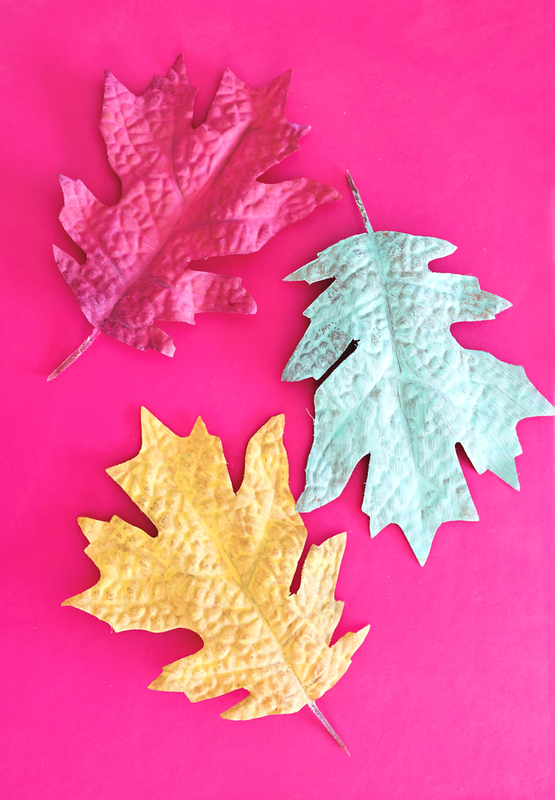 Using the faux craft store leaves will ensure this project can stay up and be enjoyed well into November. 2. 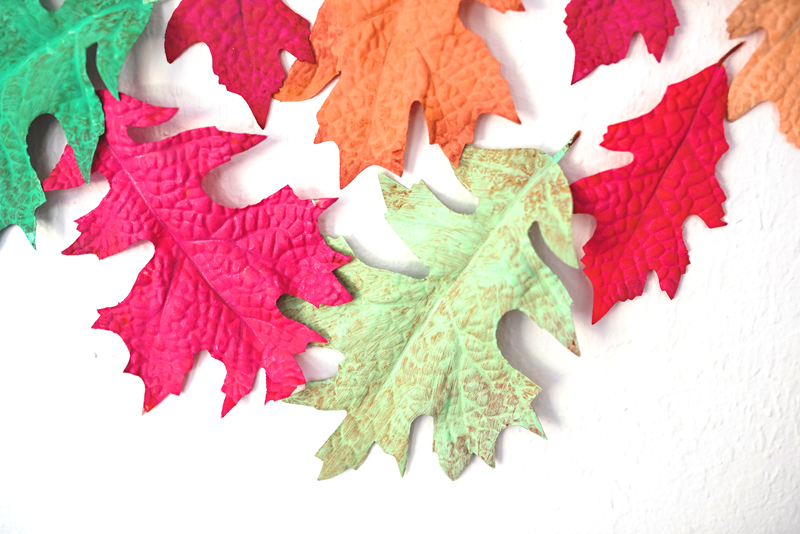 Hang the leaves on the wall with double sided tape, or string them up in a garland to hang by the mantel. 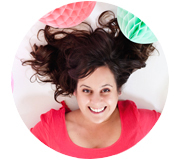 I am obviously partial to the heart shape on the wall. 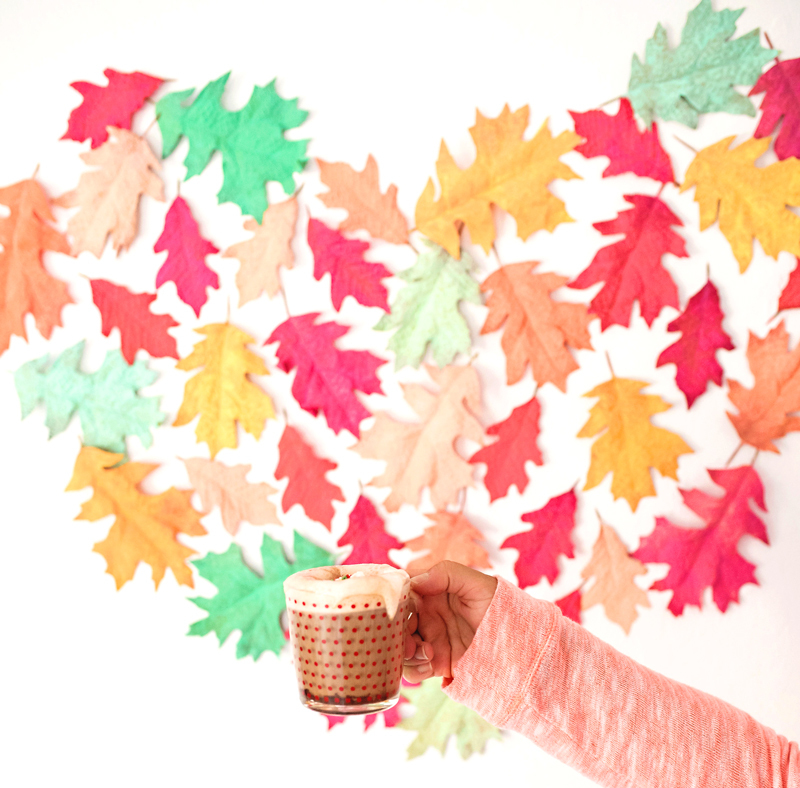 Cheers to a quickly coming fall filled with bright cozy fun!